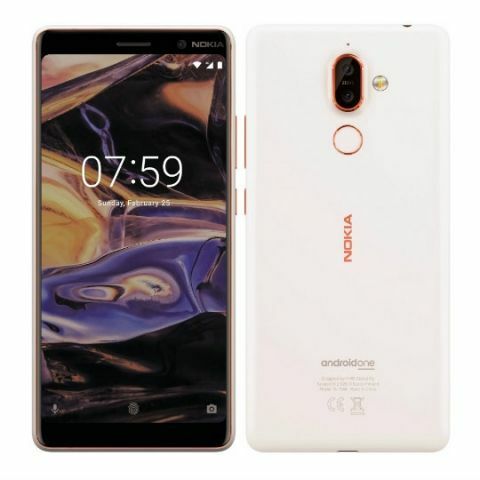 A day earlier, we saw leaked press render of the upcoming Nokia 7 Plus and today, an alleged image of the phone has surfaced online ahead of the launch. Going by the leaked image, the upcoming phone could feature an 18:9 aspect ratio display with a curved 2.5D glass on top. Previous reports suggest that the phone may have a 6-inch display with FHD+ resolution. The display seems to have rounded corners similar to what we have seen on phones like the Google Pixel 2 XL. The image also shows the camera placed at the top right corner of the display sitting right next to the Nokia logo. Ealier reports revealed that the phone might be powered by a Qualcomm Snapdragon 660 SoC. The Snapdragon 660 is an octa-core chip using Qualcomm’s own Kryo 260 cores and was previously seen on the Oppo R11 smartphone, which unfortunately did not make its way to India. The Nokia 7 Plus is expected to feature a 4GB RAM along with 64GB storage. The device might have a dual camera setup at the rear with rumors pointing towards a 12MP + 13MP camera arrangement. On the front, the phone may feature a 16MP front camera. The device is speculated to be backed by a 3000mAh battery with Quick Charge support and feature a USB Type-C port. The Nokia 7 Plus might get launched alongside the Nokia 1, press renders of which was leaked a day back. The Nokia 1 may feature an IPS display of unknown size and a 1280 x 720 resolution. The device is expected to be powered by a MediaTek SoC and may feature 1GB RAM along with 8GB of internal storage. The device may run on Android Go, which is designed by Google to run on less powerful phones with 512MB and 1GB RAM.